Carved into the crags of the mist-shrouded mountains of ancient Japan lies the Shrine of Onitama. It is a place of enlightenment and skill, a site dedicated to the spirits that guide the Schools of Martial Arts across the land. 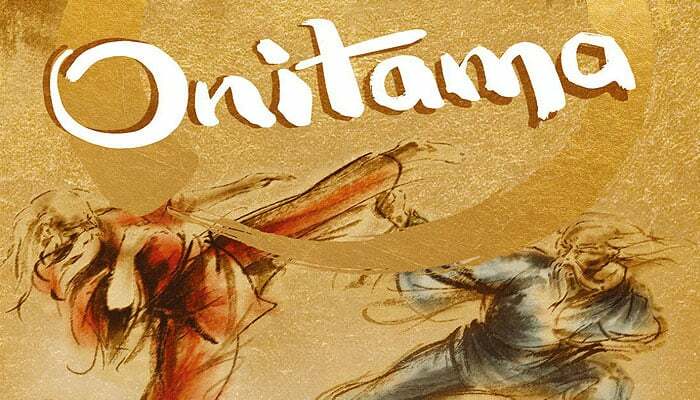 Masters of these schools hazard the journey to Onitama with their most promising disciples to meet within its hallowed walls and to prove their superiority in battle against the others. These contests are more than simple combat - for in this place, the Animal spirits that guide the Schools whisper their guidance to the Masters, and bolster the students with otherworldly strength and dexterity. Each player has two open cards that each display a possible move for any of his pieces. There is a fifth card that cannot be used by either player. On a player's turn, he chooses one of his cards, moves one of his pieces according to the chosen card, then replaces the card he used with the fifth card. The other player then chooses one of his cards, moves accordingly, and exchanges that card with this fifth card - which is, of course, the card the first player just used. Onitama is an elegant and simple game which captures the essence of martial arts. Each game is quick, usually 15 minutes in length. Arrange the playmat on the table between you and your opponent. Each player chooses 5 pawns of one color (1 master + 4 students). Each player places their Master pawn on the temple arch nearest them, and their 4 Student pawns on the 2 squares on either side of the master.